eD@HoMe: My first cover from Aruba! Many thanks to Rodel Evangelista for this great gift from Aruba! 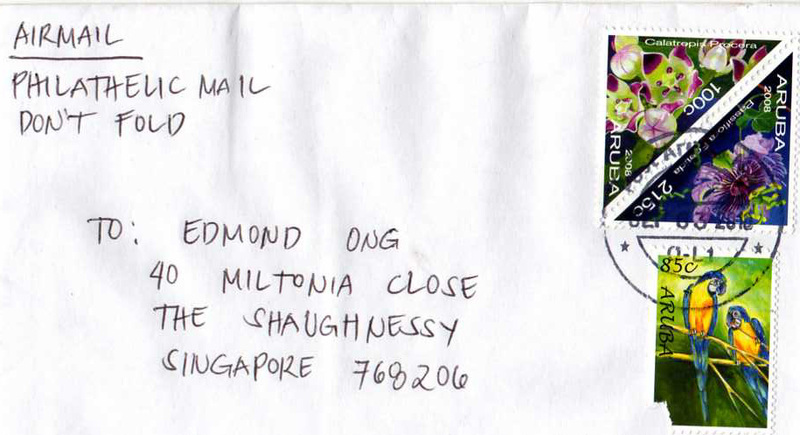 It is my first cover posted to me from this Caribbean island! Located just 15 miles off the coast of Venezuela, Aruba enjoys a premium location outside the hurricane belt. 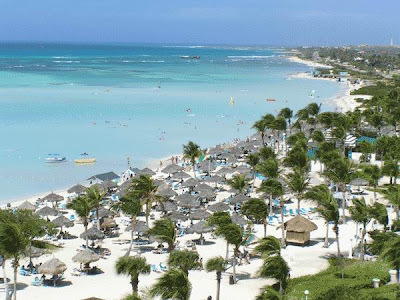 Tons of beaches line Aruba’s coastline, ranging from the surfer’s beach to the family beach to the private romantic beaches hidden away from the crowds. The attractions extend far beyond the beaches. There are the coves of Andicuri and Dos Playa. The calm of the Conchi, or natural pool on the windward coast. Restaurants ranging from seafood to Oriental and lots of great places to shop – outlets, collector’s shops specialty and antiques shops boutiques – and many more. Awesome isn't it? I am sure Rodel must have enjoyed this wonderful trip. 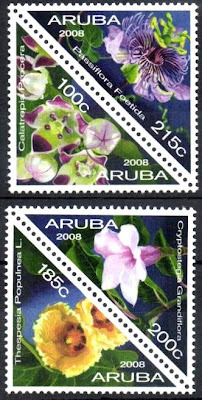 The pair of triangular stamps franked on the top right corner belongs to the "Flower" series. They were issued in 2008. We also have a Blue-and-yellow Macaw stamp from the "Parrots" series. 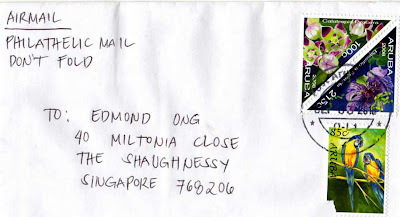 Such a pity that the stamp was torn. Issued this year, the other stamps in this set depict a Yellow-shouldered Amazon and Scarlet Macaws.